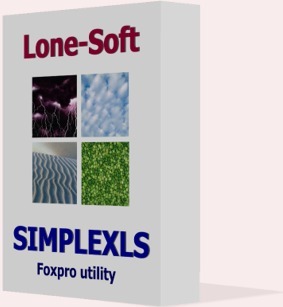 Converts Foxpro table to Excel (XLS). You can create one level group. Formatting options: bold, italic, underline, colors. Uses Excel SUM function to calculate. Your end-users will love it! Tested with Visual Foxpro 6.0 and 9.0. You get the full source code for this price! Download sample groupped, formatted XLS file which also uses the SUM function. It is transfered from northwind.orders table. Download user guide for further information. Converts Foxpro report (FRX) to Excel (XLS). Easy to use. You get the full source code. A nice progressbar class is also included.